Mara Mourao was invited by GRIFA FILMES to direct a PROGRAM ON INNOVATIVE IDEAS that will be recorded in San Paolo to debut on TV CULTURA. The series is in pre production phase and has 13 episodes of 26 min each. Where innovative ideas arise? To answer this question, 13 personalities from different fields will share with the public the moments of inspiration that led to a turning point in their lives and in their careers. 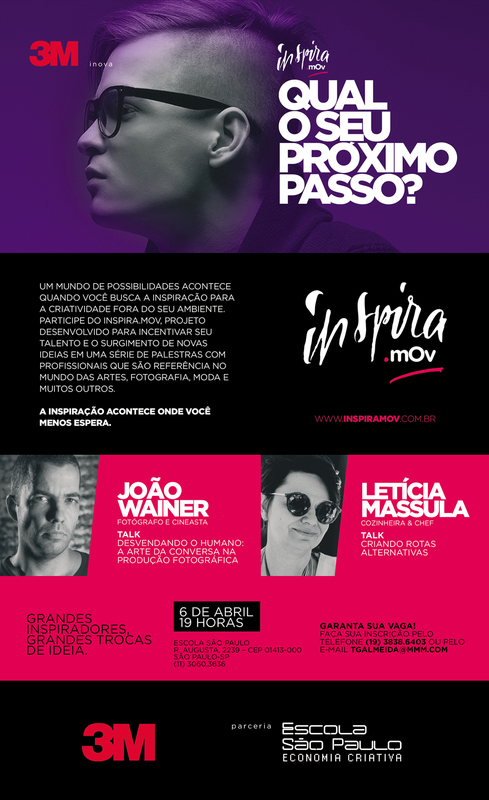 The testimony of each protagonist will turn an episode of Inspira.mov Brazil, designed by Elo 3, produced by Grifa Filmes and sponsored by 3M. Directed by Mara Mourao, award-winning author of documentary Who Cares? and Doctors of Joy, the project fits within a global trend of appreciation of new models of thought and action to respond to contemporary challenges. “The Inspira.mov Brazil series is a natural continuation of the work I have been developing in order to use film as a source of inspiration for social change,” says the director. The list of invited guests to attend the series includes musicians Antonio Nobrega and Negra Li, the artists Elifas Andreato and Eduardo Srur, philosopher Viviane Mosé, social entrepreneurs Edu Lyra and Rodrigo Baggio, the master brewer Cilene Saorin, journalists Paulo Lima and Mauro Beting, the video DJ Edgard Piccoli, social activist Lala Deheinzelin and the businessman Facundo Guerra. The program format is inspired by the TED Talks, lectures on innovation in technology, entertainment and design that emerged in Silicon Valley, USA, in the 80s Since then, the scope of the conference has increased, covering all knowledge of branches in more than 100 languages, and videos have become a phenomenon on the Internet. 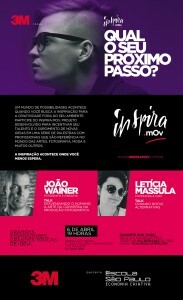 The testimonies of Brazil Inspira.mov series will be recorded in a setting specially created for the program. Mara Mourao will record the audience’s reaction to the stories told by each guest and record images of the protagonists in their places of work or other activities related to the topics addressed by them.